Water view! Take a look at this beautiful updated water view home just outside downtown Beaufort! Beautiful and solid with expansive water views from the decks and interior of the home. Updates include standing seam metal roof (2014), casement windows, kitchen (2015), Rheem water heater (2013) and expanded master bedroom and master bath. 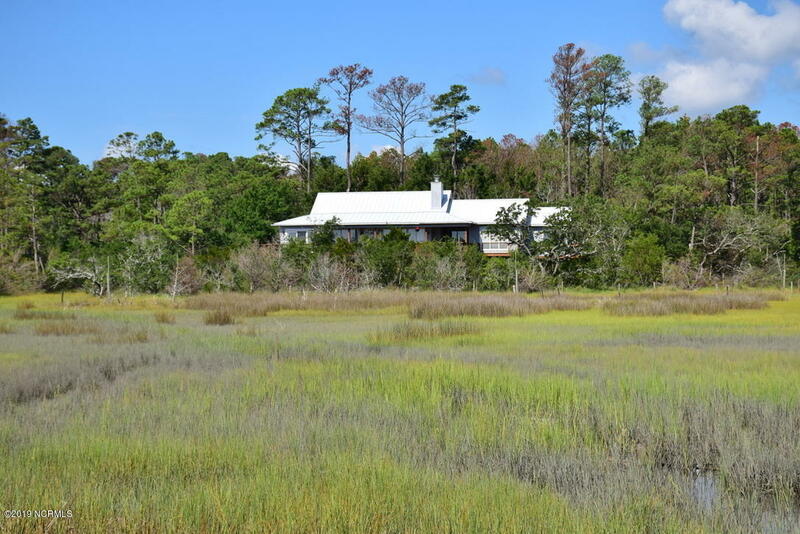 VERY private setting on approximately 1.5 acres (Lots 63 & 64 North Harbor Subdivision).